Everyone knows that the home is a sanctuary from the everyday outside world. It is the place where you and your family relax and enjoy time with your friends. You do not have to let uninvited guests, such as mice and bugs, interfere with your peace. From startling you in the middle of the night and damaging the structure to bringing bacteria and disease throughout your home, it is important to exterminate pests as soon as possible. 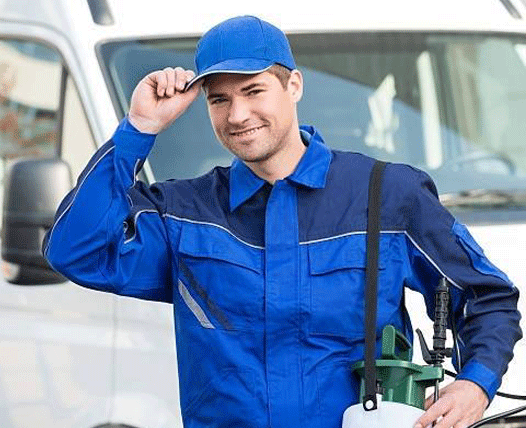 The professionals at our exterminating company have combined their skills to provide first-rate pest removal services to fulfil the needs of our region. 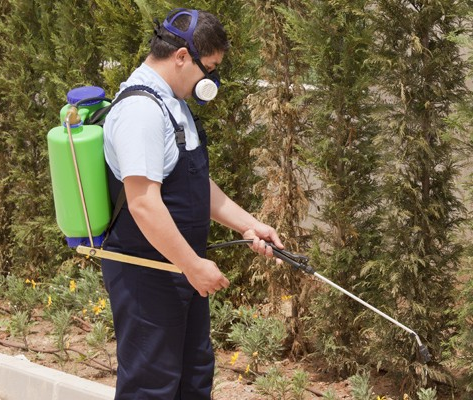 With more than 10 years of experience, our company only hires qualified technicians who specialize in the highest quality fumigation and other related services. We will quickly respond to your pest or wildlife removal problems and perform a detailed inspection. No one wants to end up living with roaches and other bugs. It is an extremely uncomfortable situation that can lead to medical issues and make your personal belongings dirty. Some bugs can cause painful stings, bites, and other issues that you must protect your family from. Whether they have taken up residence in your home or outside your home, you can trust out team to provide complete exterminator services that effectively eliminate these highly annoying pests. Using advanced products, we can exterminate one section of your home, your yard, or your entire house. When it comes to providing successful extermination services, our trained technicians know how to keep the bugs away for good. Because we've been doing this for more than 10 years, we understand proper techniques and products for the most successful bug exterminating. Allow us to provide a free pest inspection at your home today. We also provide in-house financing, so you can rest assured that your extermination services are within reach fast. From the moment you call us, you can expect personal and prompt services. Our team includes experienced technicians who are licensed, bonded and insured. During an inspection and extermination, we will treat your home with respect and work as efficiently as possible. Our team understands that these situations are never easy, so feel free to ask questions and bring up your concerns to us. We are always happy to explain our methods and educate you on the details of your situation. Whether we are exterminating termites or baiting and trapping mice, we will use the most effective pest control and prevention methods. In the past few decades, we have honed our proven techniques to return our customers’ peace of mind. It is not only our priority to resolve your circumstances quickly. Getting extermination results is our specialty. Our knowledgeable technicians are courteous and professional from start to finish, as we are dedicated to making your home a safe place for you and your family again. We can also treat commercial properties and residential lawn pests such as mole crickets and chinch bugs. These pests might not bother you in your sleep or affect your structure’s integrity, but they will damage your yard. Take advantage of our comprehensive services to keep your property looking beautiful. We are committed to protecting your home or business and keeping it pest free with our exterminator services. While all pest infestations need to be handled immediately, none of them quite affect your home the way termites do. It is important to tackle this problem as soon as possible due to the threat termites cause to the integrity and value of your home. The damage that these bugs do is extensive. Homes that have termite infestations are compromised when it comes to their stability. That is why exterminating termites as soon as possible is vital. These creatures are frequently referred to as silent destroyers because they often leave no sign of their existence while they eat at the structure of your home. If you notice temporary swarms of winged insects around your home, especially in the spring time, cracked or bubbling paint, mud tubes on exterior walls, or small, transparent wings scattered about, then you likely have an infestation. Call us to handle the problem. We specialize Spanish-speaking exterminator services for termites. There are many different species of termites, but we can eliminate them all. Rest assured we have the experience, training, and qualified team members to completely restore your home. Contact us by calling First Solution Pest Control for professional exterminations and fumigation in Miami. We eliminate pests in the surrounding areas of Miami Beach, Kendall, Homestead, Coral Gables, Fort Lauderdale, and Key Biscayne, Florida.